There are badlands throughout the West, where treeless plains are being cut to pieces, shaped and reshaped by erosion. 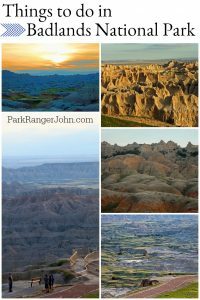 But jagged Badlands National Park is in the Badlands, the biggest and the baddest, from which all other badlands take their name. 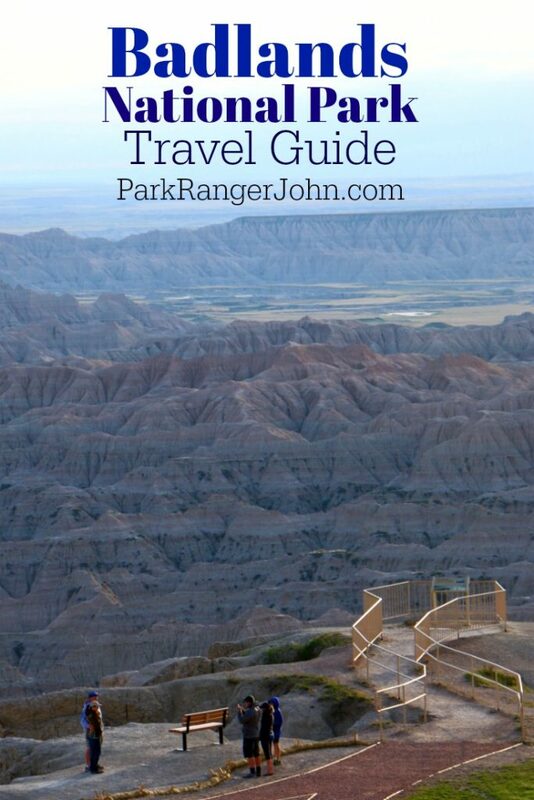 These Big Badlands actually cover about 6,000 square miles of South Dakota and Nebraska. Only about 13 percent of this land is contained in the national park. When the Sioux coined the term mako sica (literally, “bad land”), they probably meant nothing more than to distinguish the austere clay spires and gullies from the surrounding grassy plains. The Indians most likely found the Badlands to be good hunting grounds. Bison and other wildlife drew hunters here as far back as 10,000 years ago. 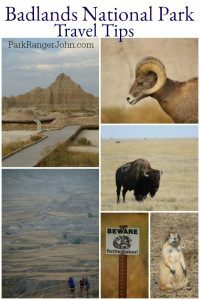 Badlands cliffs, often invisible when approached from the north and east, made ideal “buffalo jumps,” where bison were stampeded to their deaths. About 500 of the great shaggy beasts can still be seen grazing in the Sage Creek Wilderness Area. French fur traders called the region mauvaises terres Ã traverser (literally, and quite accurately, “bad lands to travel across”). For a traveler it is an apt description of this seemingly barren landscape–slashed and gouged by impossible gullies and ravines–that becomes a giant mud pie when it rains. 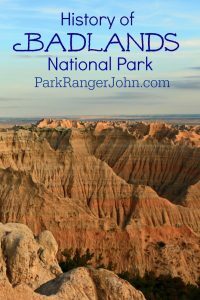 Yet only 45 miles west of Badlands National Park are the Black Hills, a delightful island of forested “good lands” that helps the traveler appreciate by contrast the Badlands’ hostile grandeur. 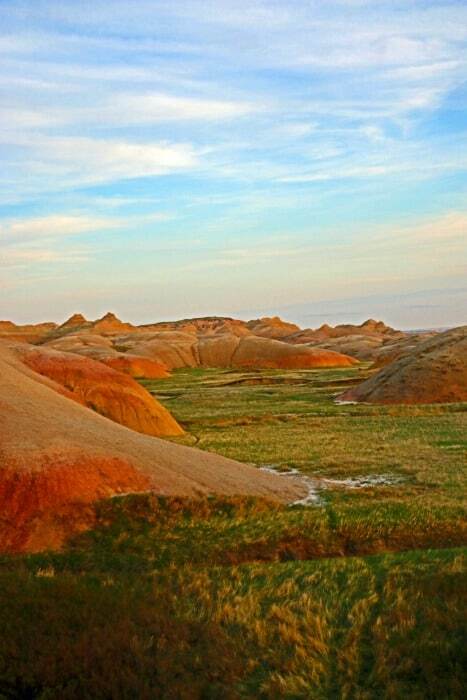 Fairly recently, as geologists measure time, the Badlands flowed from these good lands. Beginning about 65 million years ago, when the Rockies began to form, the same pressures raised the land here, draining a shallow sea that had covered the region for 15 million years. Meanwhile, to the west, the surface warped into a blister, or dome, nearly 8,000 feet high–the Black Hills. As the dome rose, it was slowly eroded. Streams became torrents, stripping rock from the hills and carrying it east to a broad, level valley where the sea had been. Here the torrents slowed to meandering streams and dropped the hills’ debris. Over millions of years, the valley was filled with sediments up to 1,500 feet thick. By the beginning of the Oligocene period, about 34 million years ago, the climate of the area resembled that of today’s Gulf Coast. Rivers and streams made mudflats and marshes, then filled them with sediment to create forests and grasslands while beginning new swamps elsewhere. The sediments were by no means evenly distributed. The erratic routes of streams, the fluctuating rates of precipitation, the variety of debris from different sites in the Black Hills, the masses of volcanic ash that occasionally blew in from the west all contributed to the patchwork layering that gives today’s Badlands their distinctive banded appearance. These layers are, for the most part, mudstone and siltstone: materials so insubstantial that it seems an exaggeration to call them stone at all. Little sediment has been added over the last million years. Instead, the whole place is falling apart, being carried away in rivulets that feed the White, Bad, and Cheyenne rivers. It is one of the world’s most rapidly dissolving landscapes. 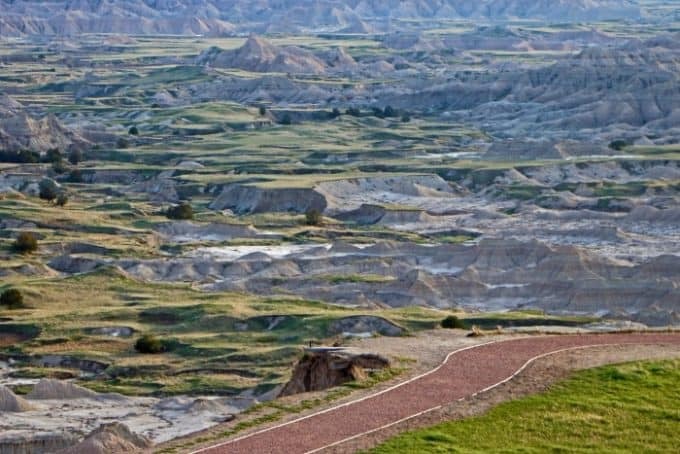 In a few million years, the Badlands will very likely be gone. Geologists speak matter-of-factly of a million years, but we short-lived human beings cannot really comprehend such time spans. 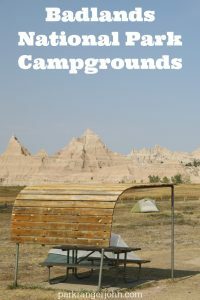 In the Badlands, though, geologic events tear along at rates discernible to human eyes. In 1959 the U.S. Geological Survey set metal discs in concrete embedded atop hills near Dillon Pass. These were designed to be permanent reference points for mapmakers, but the hills eroded away at the rate of an inch a year. In a little over a decade, the “permanent” benchmarks and their concrete bases were embedded in nothing–which was just as well, for the elevations they recorded were now wrong by a foot. Much of the clay eroded from the Badlands ends up in the White River, named for the chalky color imparted by its burden of sediment. This water is foul stuff. Each of the clay particles has the same electrical charge, and so they repel one another. They cannot clump together to settle out of the water. 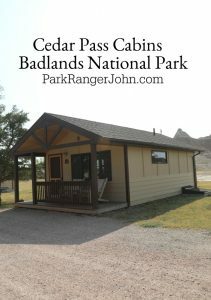 Perhaps the area should be called badwaters instead of badlands. When the famed mountain man Jedediah Smith and his rugged band were scouring the West for beaver pelts in 1823, they drank from the White River, the only water available. They suffered severe diarrhea, followed by dehydration that could easily have killed them in such arid country. Two of the men were too weak to go on. Smith buried them up to their necks in the sand to conserve body moisture until he could return with drinkable water. It is a testimony to Smith’s character and leadership that his men let themselves be buried alive, trusting that he both could find water and would bring it back. That night he did so and dug them out.